Gwynny the Swedish Katt: On the table! Again! 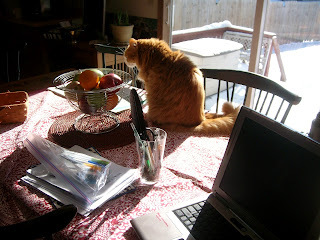 I was caught sitting on the table again... I got hair on the tablecloth... But, I like sitting on the table!